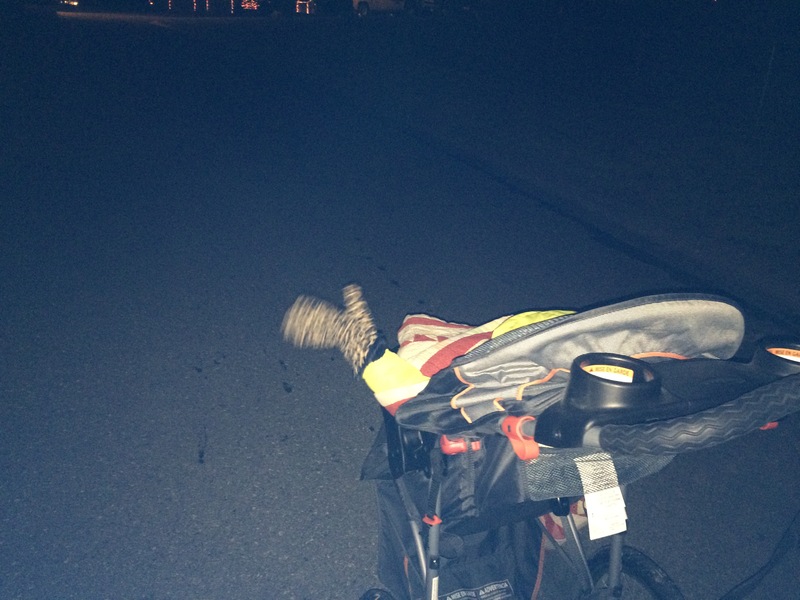 He and I have been out looking at Christmas lights – a good reason to walk at night even if it is chilly. 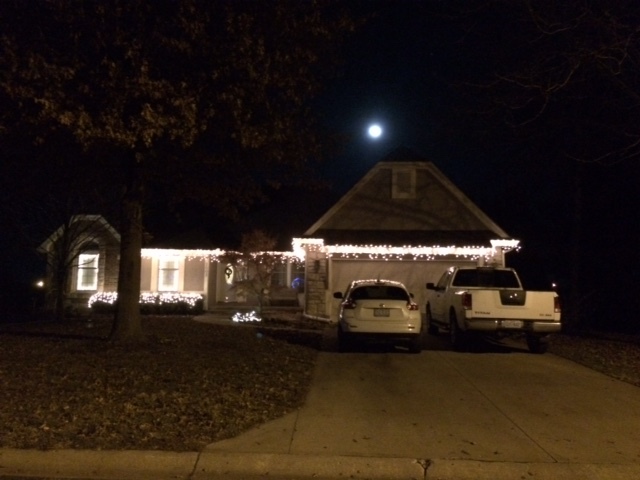 Last night we started out at our house – notice the perfectly placed full moon. 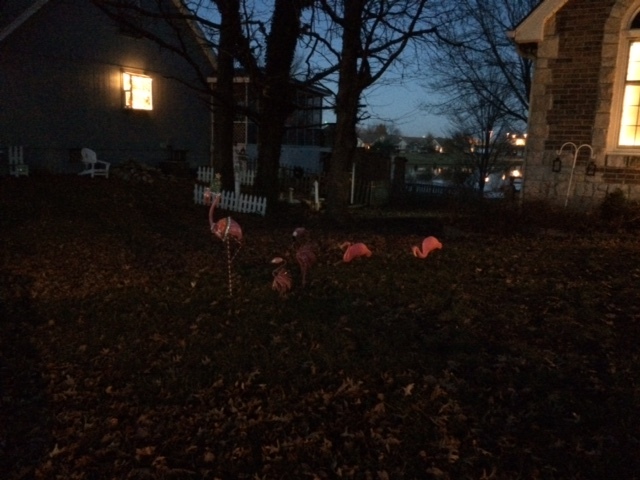 I think the winners of the Sugarland Neighborhood lighting contest will be this…and they deserve it. 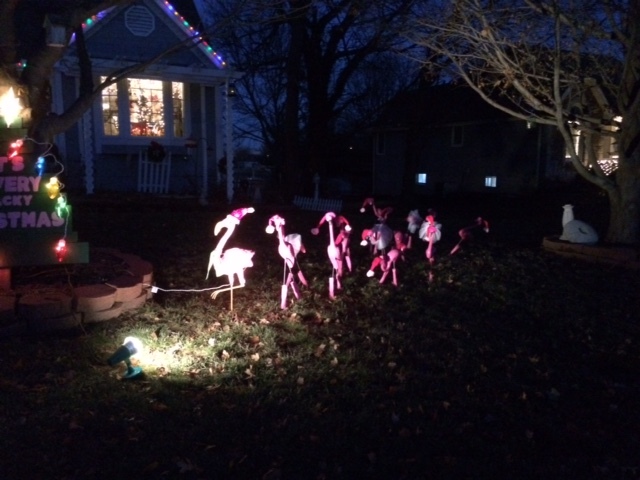 This is the yard..they also have their lights programmed to music. I thought I took a picture but just a video and I can’t add it on to here without going premium. What a great year to be a grandparent of a 19 month old! 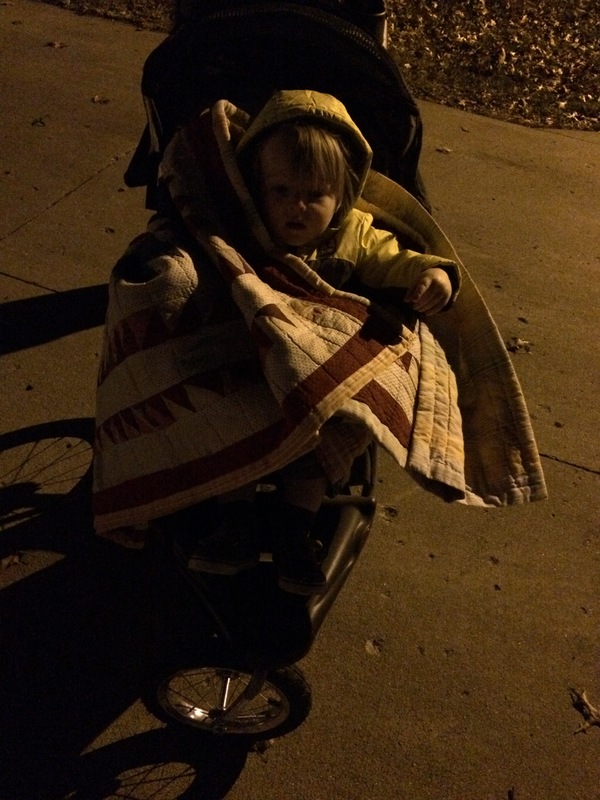 He’s fascinated with all of the lights so we took him on a walk tonight..it was so worth it….but very cold! 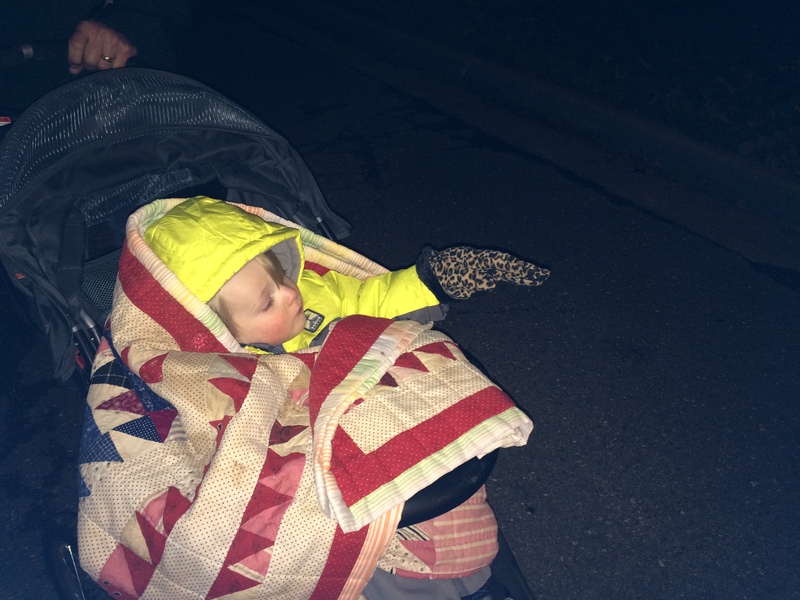 He would not keep his one hand under the blanket because he needed to point..so I put my glove on it and this is the way he rode around. 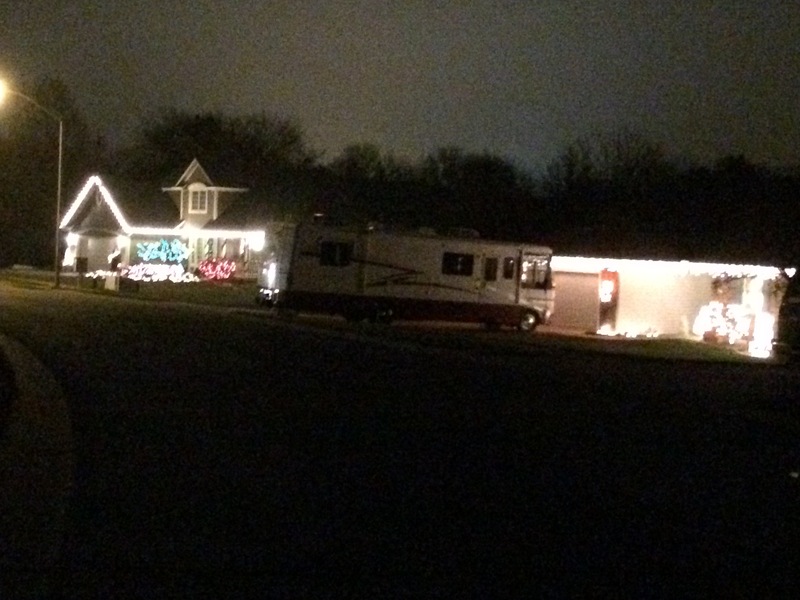 We were delighted when we turned the corner and saw that Cousin Eddie arrived at the neighbor’s house. This entry was posted in Uncategorized and tagged children, Christmas lights, Christmas vacation, cousin Eddie. Bookmark the permalink.